Ajay is 32 years old IT professional, married and has a four years old kid. He and his wife have a combined annual income of 20 Lacs. Ajay and his wife have a few financial and lifestyle goals, some of which include, owning a 3 BHK apartment in Delhi/NCR, a hatchback car and being able to afford a sedan in next three years, a 7 to 10 days holiday each year, save money for his kid’s education and finally for his own retirement. Ajay’s goals are the most common aspirations of today’s middle to upper middle class income group. But how many of us are able to fulfill them? Are we able to plan our future wealth to the last detail? If yes, then are we doing it right? So, what is financial planning and why is it important? It is true that no one knows what lies ahead. We do not know what to anticipate. But when it comes to money, we all want a magic wand that could turn our wealth in to a fortune! A financial plan is no such magic wand. But if you are a wise investor who is clear about his future objectives and lifestyle expectations, then planning your finances meticulously can help you achieve those goals. Let us first understand, what includes a financial plan, who can prepare it for you and what benefits it could yield for you. What is your asset allocation and is it optimum? Are you able to prioritize and put a number to your financial goals? Are you prepared for any contingency or medical emergency? Financial planning can help you provide these answers and in turn can help you fulfill goals like stress free retirement, children’s education and marriage, buying a house, managing your debts and investments etc. It decides your net worth, calculates the adequacy of your insurance and can help you build a reserve for your retirement. It creates a portfolio for you, where your current and future cash flows are mapped to your goals. There are two very important factors in financial planning. One is inflation and second is changing lifestyle needs. Inflation causes the depreciation in the value of money and its purchasing power every year. It causes the rise in price levels. A product which used to cost Rs. 100 one year back, today costs Rs. 108, assuming the inflation rate is 8%. The second factor is related to lifestyle changes. With increase in disposable income, it is common for us to want to upgrade our standard of living. What used to be luxuries have turned into basic lifestyle needs today; a benchmark of comfortable living. A sound financial plan can help you upgrade as well as maintain your lifestyle. I sold financial plans (FPs) during my first job. It was the signature product of my company that based its USP on custom made financial plans based on the customer’s current financial strength. It was then that I closely observed the common perception among people about having your wealth managed by some third party. Clearly, the awareness on the matter is very low and people do not know the value of financial planning, which is directly related to inadequate levels of financial literacy. People living on a day-to-day basis find it hard to plan their finances. It is only when there is an increase in your wealth that you feel the need to save and multiply. Another reason that financial planning is not very mature among India consumers is because of the long and extended family structures. It is common in Indian culture for children to take care of their parents after retirement. Indian investor is not akin to the idea of being used to paying for advisories. However, this scenario is changing slowly in the urban Indian market. With increased life expectancy, lack of pension schemes from the government and lifelong employment schemes by the employers, consumers need to take responsibility for creating their own wealth. 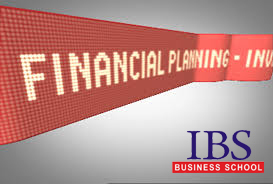 Financial planning becomes all the more important because of the unpredictability of the market conditions and lack of social security system in India which in western countries is quite developed. The investment landscape is becoming more and more complex and people do not have much time to devote in understanding and managing their finances on their own. Hire an independent financial planner as you directly deal with the advisor and get more reliable information. Make sure he charges you a fixed fee unlike a broker who charges percentage of your portfolio. Do not fall for an investment that would sound too good to be true. Use internet and do some of your own research as well. Be clear about your goals and prioritize them. From a sales perspective, financial plan is challenging to sell because of its virtual nature like insurance. You are asking consumer’s money for a product that is planning your future based on speculations and might not consider market risks. Sometime it might ignore your risk appetite and suggest investment that you personally might be unwilling to make. Also, a financial plan might not yield the desired result, if down the line you are unable to follow it. For example, making an unexpected investment or facing a family emergency leading to cash outflow etc. 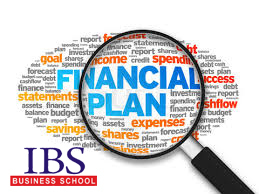 The success of financial plan depends upon many factors, all of which cannot be foreseen and considered. A financial plan is not meant to be for life time as your short term financial goals might change after 10 years and you might have to reassess and modify your previous plan. You can start your career by working with wealth management firms, banks, NBFCs, AMCs etc. With experience and time, you can also get into private consulting and advisory business. Many KPOs also hire financial planner as business analysts or research associates. The major target segment for financial planning currently is the high net worth individuals (HNIs) and is still establishing its foot prints among the middle and lower middle income group. However, the services offered by CFPs is not just restricted to individuals but can also be rendered to corporate and institutional clients like banks, mutual funds, insurance companies, stock brokers, portfolio management firms etc. Although the times are changing, financial planning is still a growing field and the consumer confidence level is limited, it is important to stay committed to your clients and offer them unbiased and impartial opinions. Lastly, always remember, financial planning is not a tool for creating wealth or making you rich. It is just a way of helping you live judiciously today to have a more comfortable tomorrow. This entry was posted by Alumni Speak and tagged Financial planning . Bookmark the permalink. Nice article, financial planning is the key to financial success. Enjoyed the article Isha, good work. Your experience in the domain is coming out very well. In case i want to write blog for our college how can i do so. i am also an alumuna of college, 2010 passout IBS Gurgaon. Please write to blog @ ibsindia.org (without space). Nice one.. what about the scope for catering in india. Is there any business schools or institues for catering ?